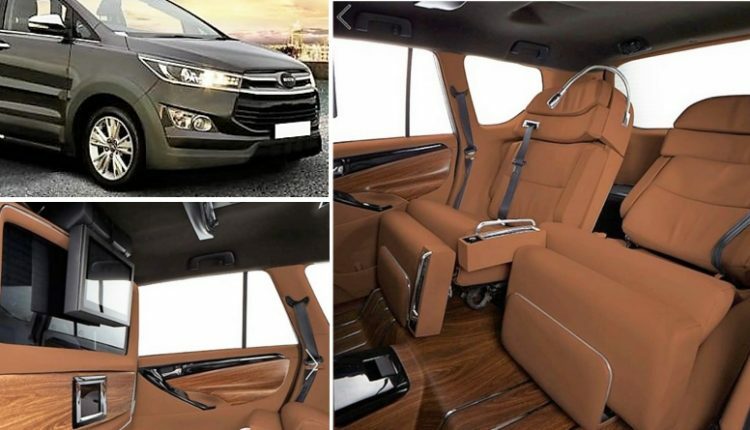 Meet Toyota Innova Crysta Lounge with Airplane Style Captain Seats! 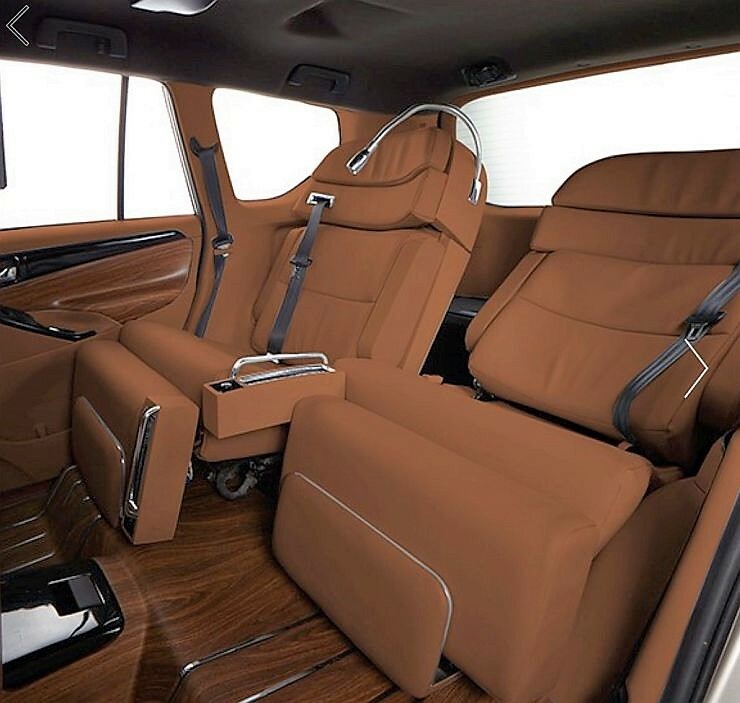 What you see here is the Lounge First customization package for the Toyota Innova Crysta by DC Design. 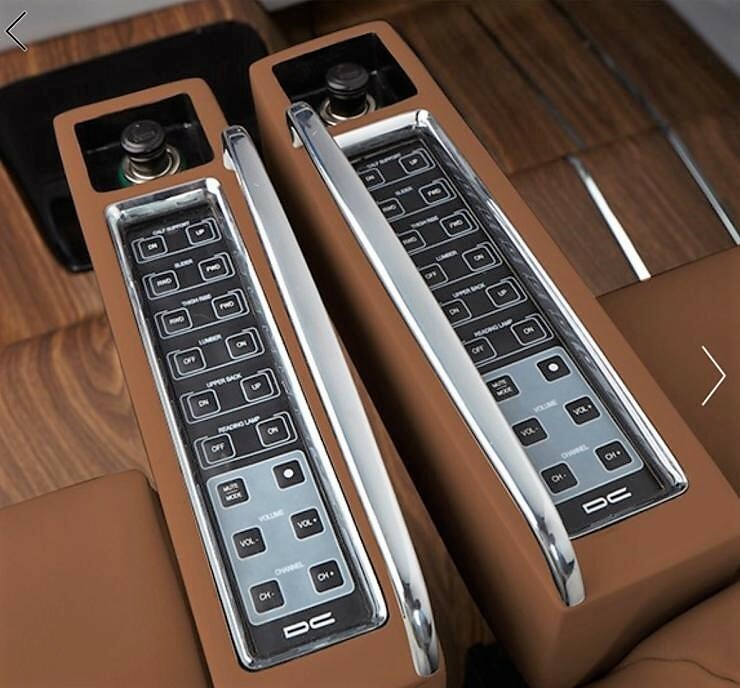 It is basically transforming the rear section of the car into a first class lounge and helps the passengers get over the tiring long rides with the comfort enhanced seating. They have worked on the rear by removing the seats, interior panels and floor covering from the second as well as third row of seats. The replacement for all of these components is really worth praising. 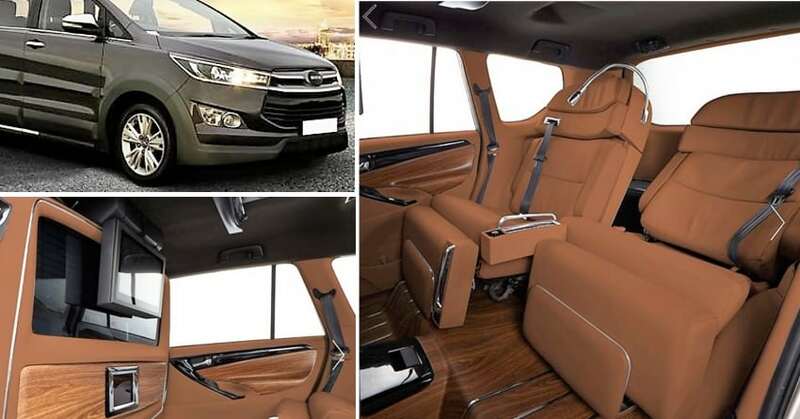 Toyota Innova Crysta comes with seats for 4 or 5 seats for the rear in stock while the DC version gets 2 thick airplane style captain seats with tan leather upholstery and power adjustments. 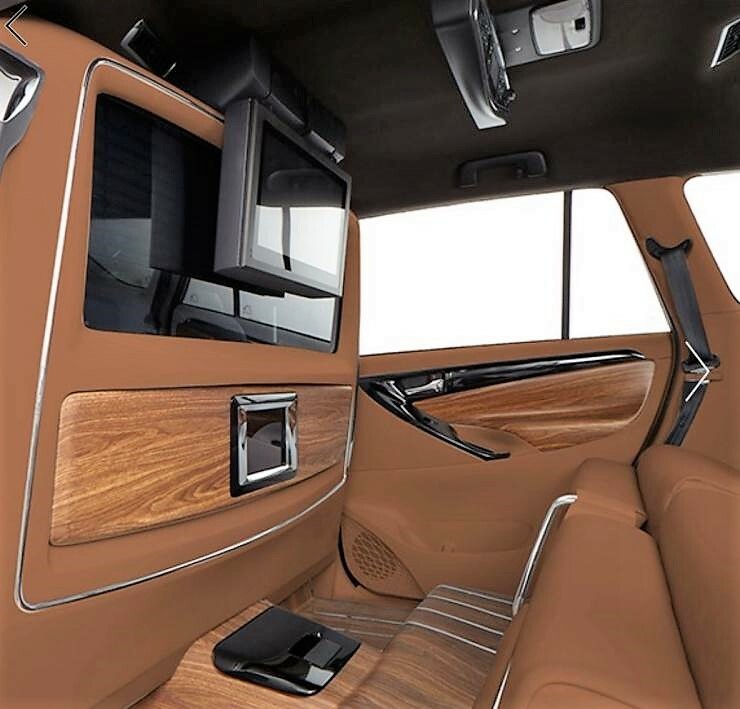 The interior is even finished in tan while use of wood, gloss black panels and aluminum inserts take the luxury experience to another level. The stock carpet floor is replaced with wooden floorboard. The entertainment of the passengers has been given a special preference. 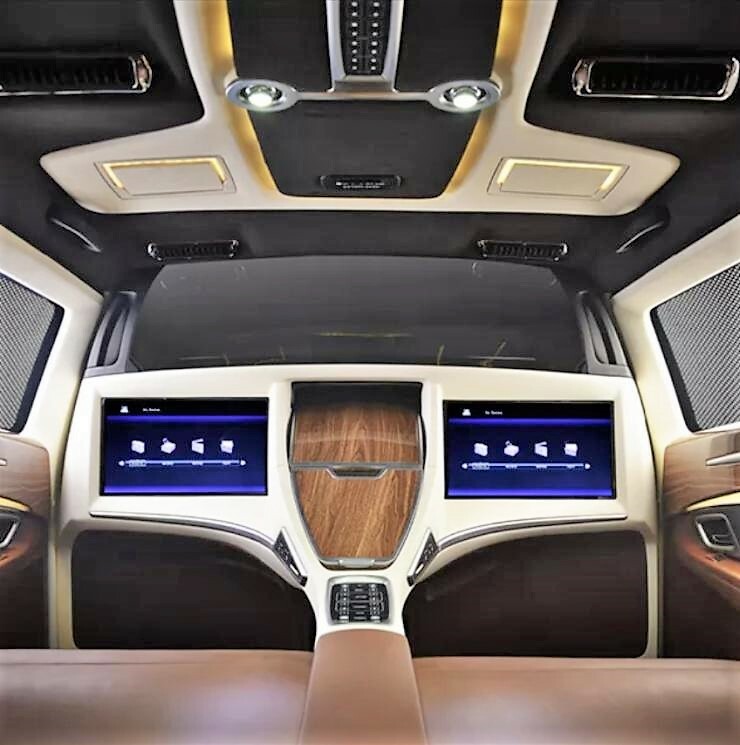 The two large screens are independently working and could help each of the passenger get his/her favorite things on board during the travel time. The fancy roof liner, automatic window sun-blinds and noise compressing interior allow the passengers to have the best traveling experience across all other cars of its segment. The modification costs INR 4.50 lakh with standard features while the amount may increase with optional features that are on offer.